24 March 2017 – The head of the Salvation Army in Papua New Guinea says riots that swept through the main streets of capital city Port Moresby on Friday caused “great devastation” to people who already had so little. Territorial Commander Colonel Kelvin Alley said he watched on helplessly as vital community services like the supermarket, medical centre, dentist and chemist burnt to the ground. “These places where people had jobs, jobs that were probably the only income to a large extended family. Gone,” he said in a statement on Friday. “The street rumour is that the fire was started deliberately. Col Alley said although the situation had eased, the city’s Boroko region had experienced “great devastation”. Col Alley described looting during the riots as “astounding”, with hundreds of people taking part in order to get their hands on free goods. It’s unclear what prompted the riots. Kathy Testh, who works at the Mapang Missionary Home a few blocks away from the riots, told AAP she woke up to the sound of gunshots. Ms Testh said she drove to a meeting only to return to find the main roads cordoned off and being manned by armed guards, to stop more people entering the area. Col Alley said several Salvation Army staff had taken ill after smoke inundated the buildings, located on the same street as the riots. 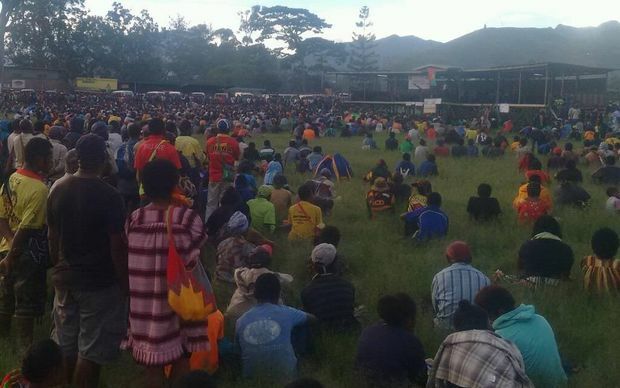 31 May – A student leader in Papua New Guinea has claimed a riot in Enga province was started by members of the public who were attacked by Police. The police said students sparked the riot. 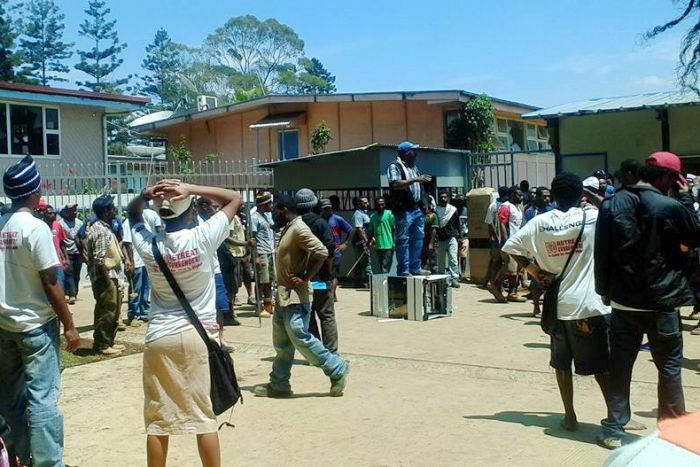 The students have been protesting for a month while demanding the PNG Prime Minister, Peter O’Neill, step down to face corruption allegations. They’ve been promoting their demand around the country through an awareness campaign, which they brought to Wabag, the capital of Enga, last Thursday where the riot occured. 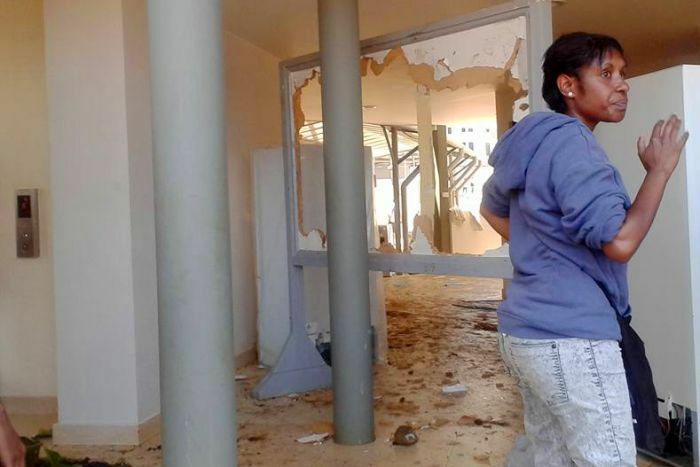 A student leader Youngsten Taliu Wally said more than fifteen thousand people had gathered in Wabag for the awareness forum when about a hundred members of the police force started firing tear gas. “It was only provoked when the police tried to stop the students’ awareness. They fired tear gas and all these things to stop but they were outnumbered,” said Mr Wally. 26 Feb – More than 60 prisoners are still at large in Papua New Guinea following a mass breakout of 94 inmates in the Pacific nation’s second largest city on Thursday. Police shot and killed at least 11 prisoners and wounded at least 17. Prisoners reportedly attacked two guards at the Buimo prison in Lae, a city of around 100,000 people located nearly 200 miles north of the country’s capital, Port Moresby. The injured were taken to nearby Angau hospital, with Australia’s ABC News reporting that four inmates are in critical condition. 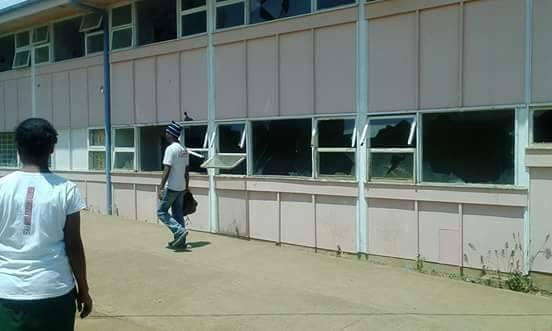 “It is confirmed that 11 prisoners have been shot and killed and 17 wounded and recaptured,” Metropolitan Superintendent Anthony Wagambie told Papua New Guinea news outlet EMTV. All of the prisoners involved were in pre-trial detention, according to ABC. Papua New Guinea’s prison population of over 4,500 is around 93 percent of maximum capacity, with at least 35 percent of inmates held in pre-trial detention, according to the International Centre for Prisons Studies. In 2009, 73 prisoners cut through two fences to escape from the same facility. Papua New Guinea, formerly administered by its near-neighbor Australia, struggles with endemic violence and poverty. The Australian government warns of “high levels of serious crime” on its travel advice website and refers to a “general atmosphere of lawlessness.” Violence against women is also a particular problem. Following a visit to the country in March 2015, UN Special Rapporteur on Extrajudicial, Summary or Arbitrary Executions Christof Heyns expressed concerns about police use of excessive force during arrest, interrogation, and pre-trial detention, sometimes resulting in death. According to the World Bank, Lae has a murder rate of 66 per 100,000 — higher than the country’s notoriously violent capital. 29 January: A five-day blockade that cut fuel supplies to Papua New Guinea’s capital, Port Moresby, and forced some power stations to close ended on 29 January. The blockade was imposed by villagers from Hanuabada after two betel nut vendors were shot and killed by police who fired into a crowd. Locals say police fired indiscriminately into a crowd of men, women and children after a dispute between betel nut sellers and council officers. Angry Hanuabadans maintained roadblocks around the village, one of which blocks the road to the PNG LNG plant site outside the capital. Radio NZ correspondent, Todagia Kelola, says the police commissioner, Geoffrey Vaki, and other senior government officials visited the village, and negotiated the end of the blockade. Todagia Kelola says it’s not clear what deal was reached with police, as the villagers had originally demanded 4 million US dollars compensation for the killings.